There are moments in our lives that can be a real burden, and we need to accept that fact, instead of constantly be worried what might happen next. Even if something bad or unexpected happens, we need to just hold on and live through it. In fact, such moments always help an individual to gather strength for the times when life serves lemons. The list below is full of examples of unpleasant or hard situations people had to go through and they show that we all experience such moments. Imagine casually walking into the bathroom early in the morning and seeing this! 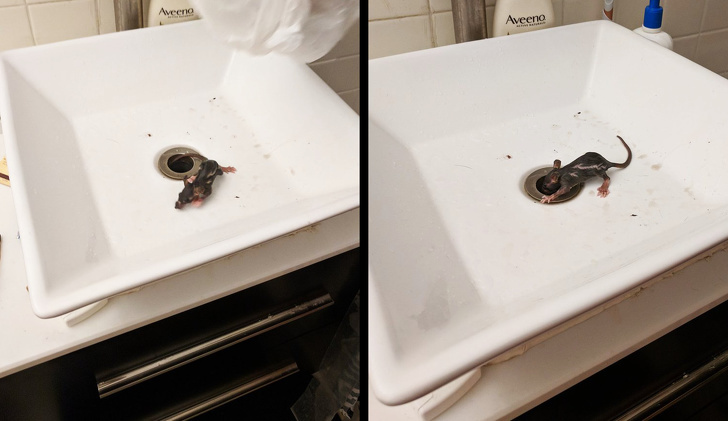 Instead of having a shower to start the day right, you witness a baby mouse coming out of the sink! This would literally make us cringe, and many people would probably scream and run! We guess these people need to take some precautions about this and probably call a pest control team, too. This is definitely not the kind of thing we would like to experience. Well, we need to admit that we were literally shocked to see this one! We have always believed that the land down under was constantly exposed to scorching heat, but we guess we were wrong about that. 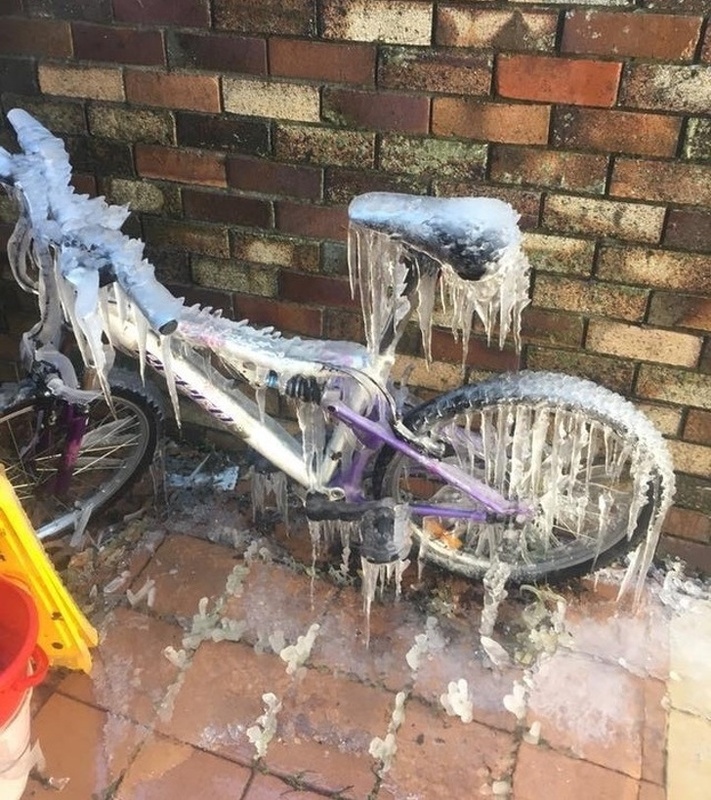 It is clear to see that this bicycle is covered in thick ice, meaning that the temperatures must have dropped well below zero. It seems that there is winter in Australia, too, and it depends on which region you are located. Now this is what we call a frustrating sight to see! 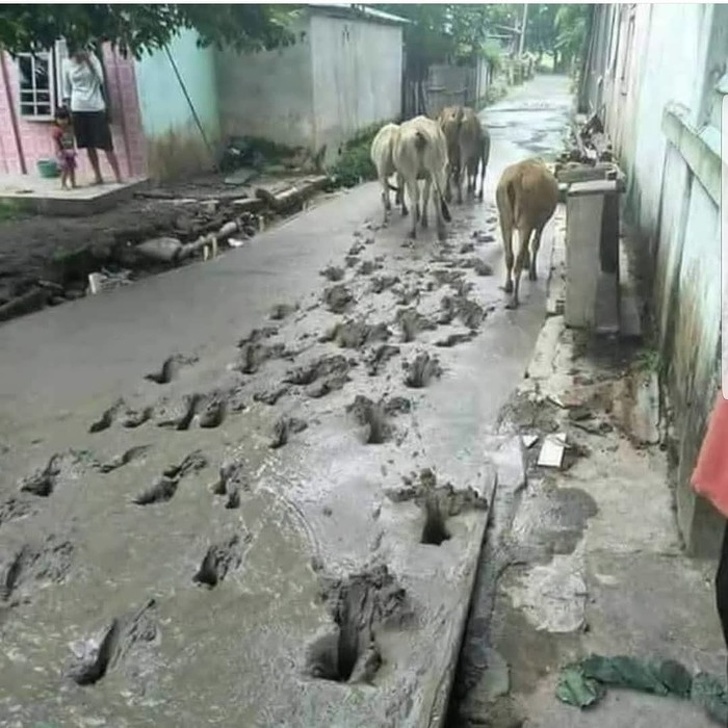 Someone spent a lot of time, money and energy to make this concrete path, but these cows could not care less about that! They ruined the path completely, leaving it a state which is hard to repair, meaning that people need to construct it all over again. They should have probably put some kind of a temporary fence to block the pathway until the concrete hardens, but it is too late for that at this point. We have never heard of such a story before. 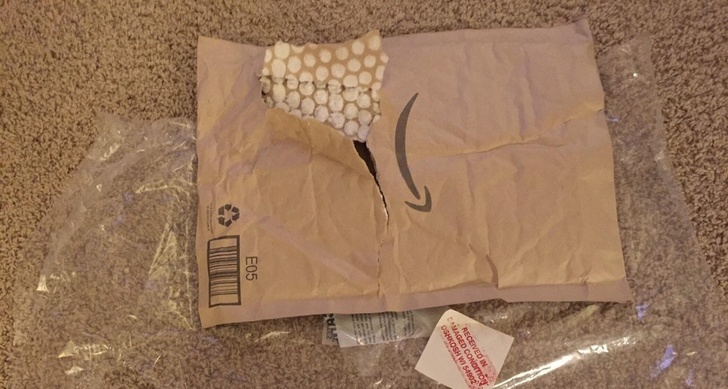 Someone ordered a security camera via Amazon, and upon taking delivery of the package, the customer found out that it was ripped open at some point during delivery and the item was missing! That’s right, someone stole the security camera from the package and the customer only received a big empty envelope. We hope they got their money back, if they were able to prove what happened. The good part about this story is that nobody gets hurt in it, but it is still so severe that we would never want to experience what it is like. 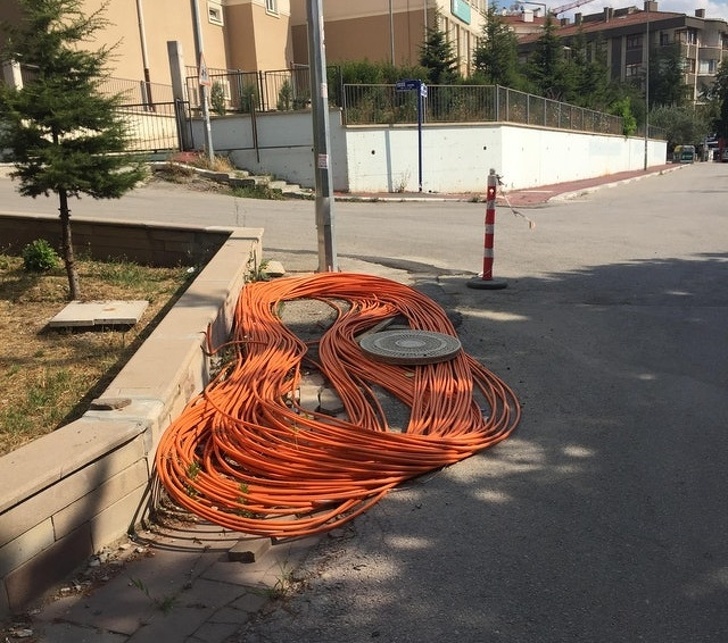 Apparently, workers managed to rip the internet cable of a huge neighborhood during some excavation work. As a result, more than 130,000 people were left without internet connection, which is definitely a disaster! They probably had to put up with this for a long period of time before the cable was restored. We have seen thousands of weird images online, but this is something that we have never seen before. 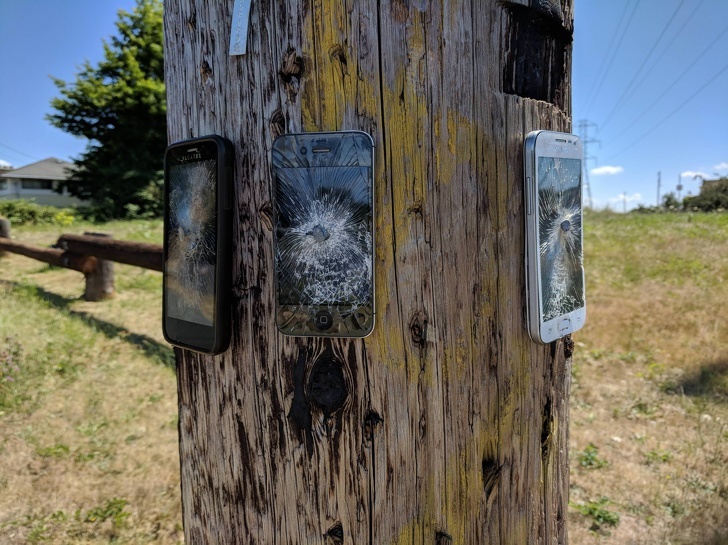 The image shows a few smartphones attached to wooden pole. The reason for such action remains a mystery to use and we could only guess what happened there. It is probably just a setup done by someone who had nothing better to do and who also happened to have a few old phones at home. It is definitely not some kind of art! We guess that there could be something wrong with this situation, depending on the way you look at it. Some people might find it cruel that this woman decided to put her don in the stroller instead of her son. However, we guess that she did it on purpose just to teach her boy a valuable lesson about something in particular. 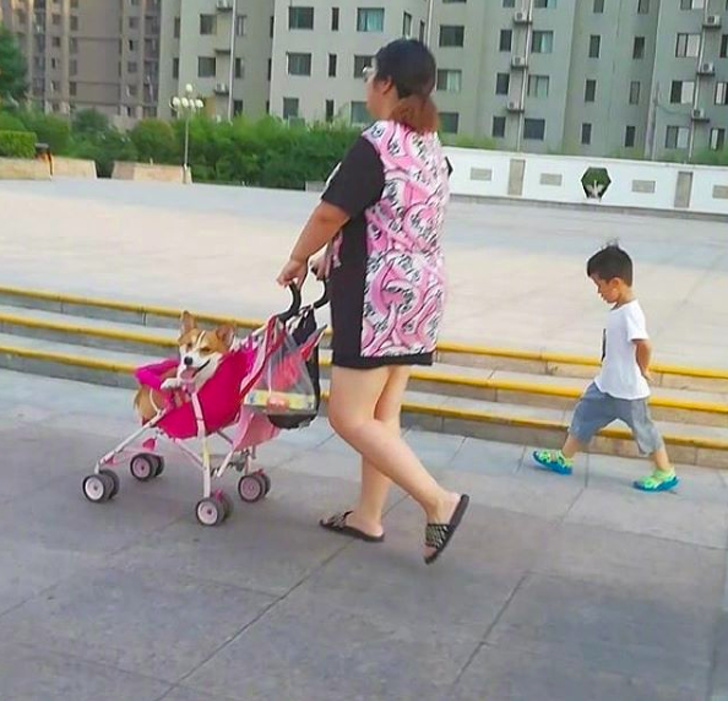 Of course, seeing that the boy is old enough to be walking without the need of a stroller, maybe the woman got it especially for the dog to be carried around with! All food-related disasters are particularly painful to watch, because we are all foodies here, and we believe most of you are like that, too. Some people have good cooking skills and they can prepare literally everything at home, while other struggle even with the basics. As you can see, someone had a very simply task ahead of them. Baking a pizza is not hard at all; you basically wait for it to be done. 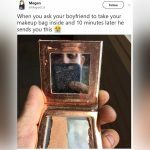 This person, however, forgot about it and you can see the awful result! As we already mentioned, some people have good cooking skills while others cannot say the same. 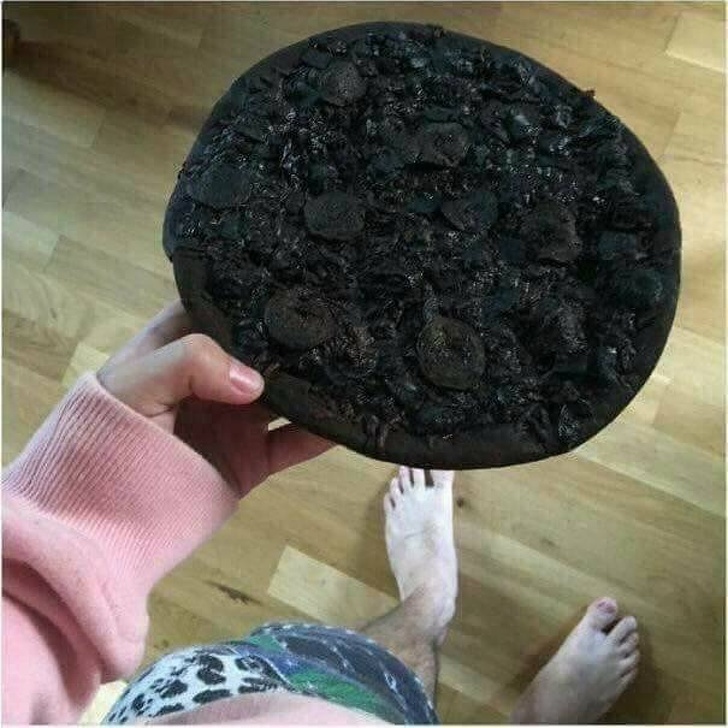 This image reveals that this person probably should take what happened as a sign and never try to prepare a meal again. 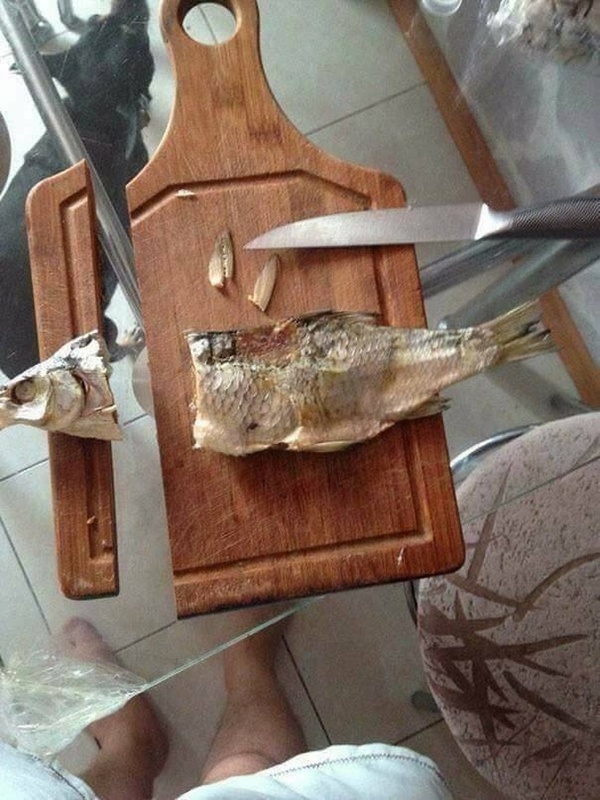 Slicing this fish took a turn for the worse when the person doing it literally chopped of the cutting board as well! Either the board had some kind of a flaw or the knife was extremely sharp. Regardless of the reason, the person should put things to a halt and trust a professional to do it. We believe that skydiving is one of the most unforgettable experiences a person could have. It puts you in a position so far away from your comfort zone that you feel like you are out of this world. One of the things about skydiving that is probably the most important aspects of the whole experience is the safety requirements. It takes a lot of time to go through all the procedures and training, as well as to learn about the safety precautions. This person found out about one of them the hard way. Well, you might even say that online shopping is risky, regardless of what you intend to buy. Many vendors use a variety of tactics to deceive buyers and they succeed most of the time. This example is definitely one of the best there are! 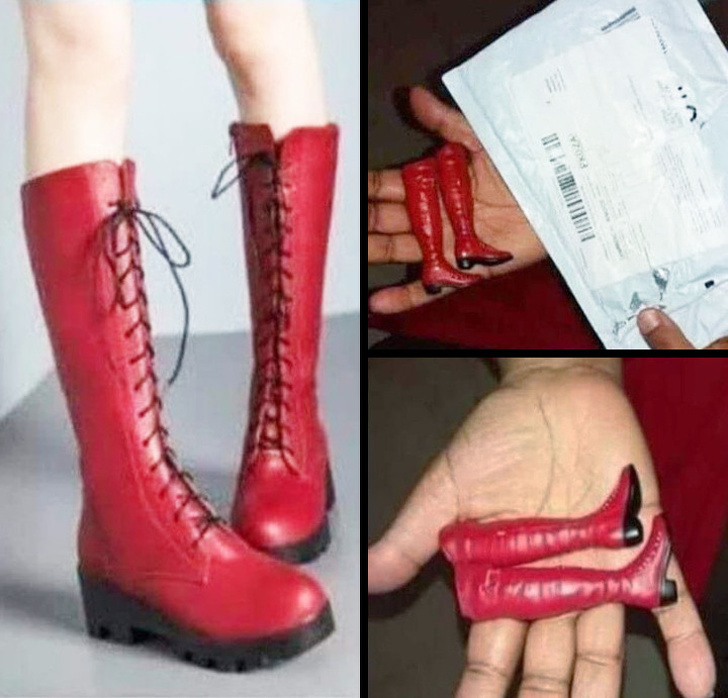 As you can see, someone ordered these stunning boots and they look really good in the ad photo. However, when the person took delivery of them, they were surprised by the small package that justified the suspiciously low price. This customer would think twice before ordering something online again. 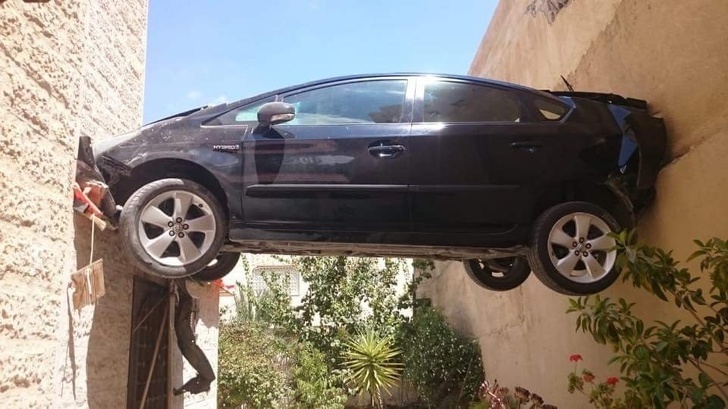 Seeing your car like this would definitely make you feel awful, except if you immediately realize that it was done for a reason. Of course, nothing could justify such an act of vandalism, because revenge is not the way to achieve anything in life. As you can see, someone took their time to completely trash this SUV and it was done with a lot of fury. 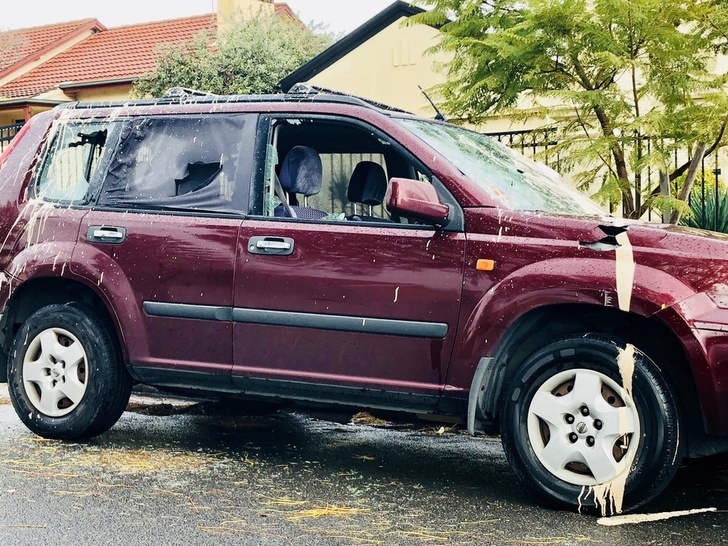 Let us hope that whoever did settled after that and did nothing more to punish the owner of the vehicle. When we saw this, we immediately felt weird because different feelings and emotions began to emerge. First we were shocked that someone could actually launch a product so deceiving that nobody would suspect its contents were not the quantity what they seemed to be. Second, it is a kids’ product after all, and this is totally unacceptable! 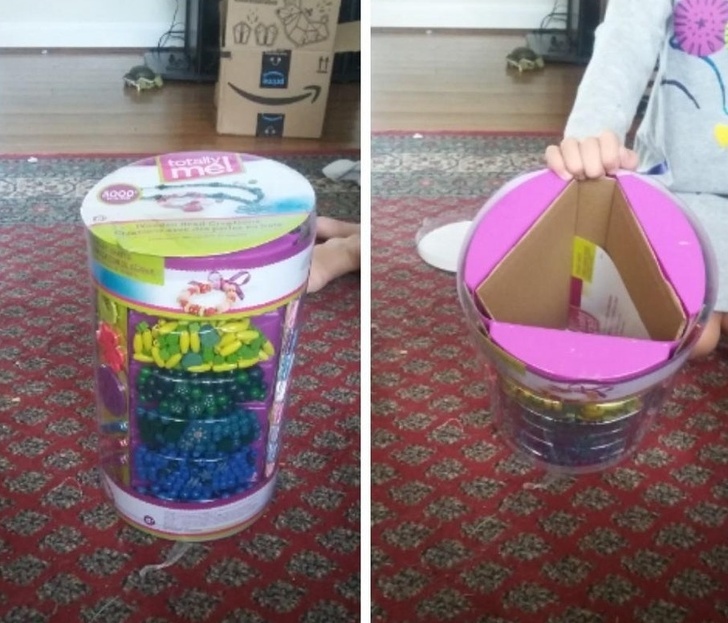 Imagine a happy toddler opening this huge container and finding out that it is not even half full! Such products should not be launched on the market at all! This story is worthy of featuring in a movie, because it sounds absurd, but it obviously happened. 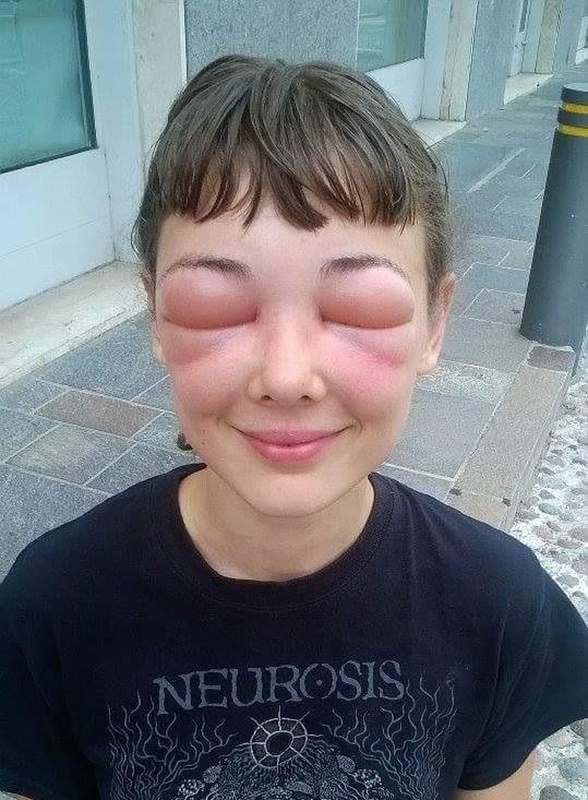 The woman you see began working as a bee keeper in Italy, but what she did not know is that she was allergic to bees! We guess that this is the worst possible way to find that out and she seems to look at the situation from the fun side of it, despite that she must feel awful! We hope she made a quick recovery and we know she will remember this for as long as she lives. 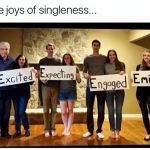 We know that some dad do want to be part of the process, but they probably have no idea what to expect, and this person’s reaction is the best proof! As you can see, he was really surprised to see how the baby’s head came out, but then it went back inside and there is no way you can be prepared for that unless you have already seen it happen in person.